The rent price was calculated in 1997 and defined in the treaty of disposition of Russia’s Black Sea Fleet on the territory of Ukraine. The calculations took into consideration the Ukraine’s debt to Russia, which at the time was $US 2 billion, and the cost of renting port facilities was agreed at $US 98 million. Currently, Ukrainian debt to Russia is estimated at $US 1.3 billion. Nevertheless, Ukraine’s former Defence Minister and now a member of parliament Anatoly Gritsenko says the country should pay off the debt and put up the rent – to $US 1 billion a year at least. His colleague Yury Kostenko believes the price should be $US 2.5 billion. The ministries are facing the difficulty of deciding the exact market price as they have no list of objects the Black Sea Fleet is exploiting. According to the treaty of disposition of Russia’s Black Sea Fleet on the territory of Ukraine, concluded by Russia and Ukraine on May 28, 1997, Russia’s Fleet is to stay in the Crimea until May 28, 2017. On August 13, 2008, Ukrainian President Viktor Yushchenko signed a decree to introduce ‘a permissive mechanism’ for crossing the Ukrainian border by Russia’s Black Sea Fleet. The decree announces that the fleet must inform the Ukrainian General Staff no later than 72 hours before the prospective crossing of the country’s border. It must also present a register of staff, armaments, equipment, ammunition and explosives which the fleet is carrying, the types of ships, any aircraft and the point and date of crossing the border. 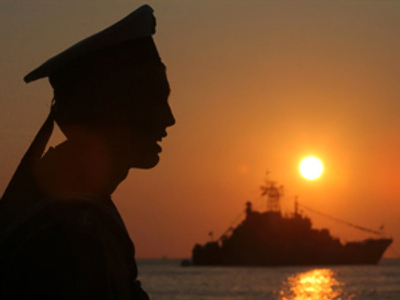 It seems that the Ukrainian leadership is interested in creating the most uncomfortable conditions for Russia’s Black Sea Fleet as its stationing in the Crimea may hinder the country’s joining the NATO.